Our available client reporting tool was not ideal, but we’ve revamped our monthly activity report into something we hope you’ll find to be more friendly, readable and useful. Here’s a little preview – click to see more. 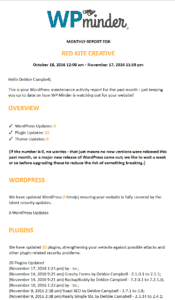 WP Minder clients will find the new version in their inboxes at the beginning of December. 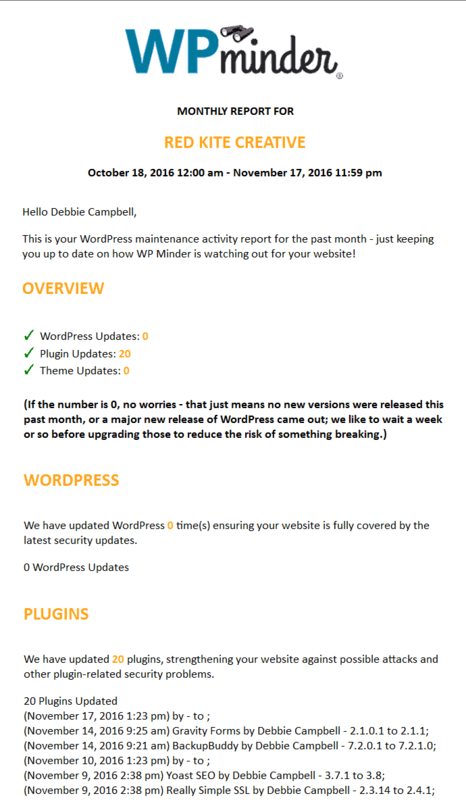 We’ve added some explanations of the main activies (WordPress, plugin and theme upgrades) as well as a few other non-WP Minder lists that might be helpful, including the posts published in the previous month and comment activity on the website.